this is a website for the music of Eric Avery, focusing mainly on his band POLARBEAR and subsequent solo work. Jane's Addiction fansite xiola.org has done an excellent interview with Eric regarding his ill-fated two-year stint reuniting with the band. The 16+ part interview can be found on the Xiola YouTube channel. Eric spent much of 2009 touring with Jane's Addiction. Rumors are that his reunion with the band is coming to a close soon, however, perhaps to be replaced by Duff McKagan of Guns N' Roses fame. So we'll see what happens there. Eric has mentioned he's hard at work on new solo material, so let's hope that's not too far away from seeing release. While Eric has curtailed blogging in recent months, he has been relatively active posting on Twitter/Facebook. And checking in with former Polarbear bandmate, Dani Tull (also now on Facebook).. "I've spent the last 3 years composing film scores for my friend Jim Shaw. He's a successful visual artist that works in various mediums. His films are shown in museums and galleries. Jim and I have also done some epic stage performances in Museums and very recently did one in a historic theater in Turin, Italy (there's some photos on my facebook). This year I am helping him to do a operatic Prog Rock performance at a museum on Bordeaux, France. We are suppose to do a double vinyl album for the same project. I also play guitar for my friends art band called The Spirit Girls and I have been doing some solo performances. I also continue with my art as well, having recent shows in L.A. and Europe." Eric has been busy lately with the reformed Jane's Addiction. They've got a big tour lined up with Nine Inch Nails. They also just released a rarities box set called A Cabinet Of Curiosities. A new studio album from the band hasn't been confirmed, but is a possibility. So far, new recordings of the old songs "Whores" and "Chip Away" have been made available online for free at ninja2009.com, produced by Trent Reznor. Eric has mentioned he hopes to record a second solo album soon, perhaps even while touring with Jane's. Long-overdue new section added to the fansite: Eric Avery discography, complementing the Polarbear discography by including his solo work and contributions to other bands. Check it out. The audio page has been updated. Eric has given his blessing for the out-of-print Chewing Gum EP to be made available for free download. We've also added the Man's Ruin 12" and a live unreleased song called "Green". Good stuff. Check out the new page for videos here on the fansite. There you'll find a bunch of videos featuring Eric Avery, including a full Polarbear show from 3/20/99. Also worth mentioning, the latest post on Eric's blog mentions he's considering further work with Jane's Addiction, though it's all pretty much up in the air at the moment. So we'll have to wait and see what happens. I put together a nice DVD featuring a bunch of Polarbear stuff. Check here for more info. To update on the Jane's situation: The NME show mentioned below featured the original lineup performing together for the first time in nearly 17 years, rocking out "Stop", "Mountain Song", "Ocean Size", and "Jane Says". Unfortunately, only the first 2 songs were broadcast, but there have been reports that the full performance will be featured in the Jane's Addiction box set, penciled in for release by Rhino Records later this year. Still no word on the future of the band, but signs seem to point to a continued push, with shows likely later this year and possible recording (But this is all unconfirmed speculation). The big question is whether Eric will be involved or be replaced again. In Polarbear related news, guitarist Dani Tull shares what he's been up to lately: "Things are great, very busy with my work. At the moment I am preparing new work for an exhibition in Germany- June. I am also doing another film score for the artist Jim Shaw. This one is sort of a Busby Berkeley inspired film and the music is sort of a cross between Claude Debussy and New Age Healing Music, fun and weird stuff. And the soon the Spirit Girls will record another record." After much speculation in the previous week, Eric Avery has agreed to join former band mates Jane’s Addiction for a one-night-only performance at the first-ever U.S. NME Awards. The iconic foursome will be crowned with the Godlike Genius Award during the ceremony and performance, to take place at the El Rey Theatre in Los Angeles, April 23. Jane’s Addiction is joining the likes of The Clash, New Order, Primal Scream and Manic Street Preachers, who are among the acts to have picked up the Godlike Genius prize at the UK awards. Lots of speculation among fans whether this will grow into a full Jane's tour featuring Eric, but we'll just have to wait and see. 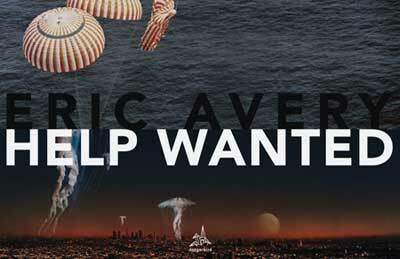 Eric Avery's debut solo album has its official release today. Definitely an excellent collection of songs. The CD can be bought from retailers everywhere, including Amazon and Insound. You can also purchase the album in mp3 format from iTunes and Amazon. And there's a great music video for the track "All Remote and No Control" which premiered a few days ago. "The video, directed by Andrew Huang, looks like something straight out of an eerie science fiction movie. The animation and visual effects used are brilliantly executed, setting a scene which beautifully compliments the track. Undoubtedly, a video that shouldn’t be missed!" There's a short article with Eric talking about the new record on spinner.com. And Eric recently mentioned on his blog that he's off on a press junket talking about the album, so keep an eye out for new interviews to be popping up soon. In fact, this just in: you can listen to a 15 minute mp3 of Eric on WTMD, Baltimore this morning (4/8/08) here. The Polar Bear Site has changed URLs and morphed into an Eric Avery fansite. It's pretty much the same as it was, only a bit more inclusive of all of Eric's music. I'll be updating more soon. To help celebrate and promote the new address, I've uploaded some new mp3s including a '97 show plus a great unreleased Polarbear song called "Ordinary" in the mp3 section. Also, the cd can now be pre-ordered from Amazon with this link. Update: if you pre-order from Insound.com with this link, the first 100 orders get a bonus autographed poster. This month's issue of Harp magazine (Nov 2007, Devendra Banhart on cover) includes a Dangerbird compilation CD featuring the song "All Remote, No Control" by Eric Avery. 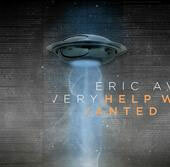 The song is slated to appear on his solo album Help Wanted, which is due out in early 2008 (still no date announced). The song can also be heard online by going to dangerbirdrecords.com and clicking "Launch the Jukebox" in the upper right. Update: If you don't see the module on the myspace (under the songs player) to buy songs, try a different browser, or simply click here. On his blog, Eric mentions that his solo CD's release date has been bumped back till January 2008. 'help wanted' is finished but it has had an unfortunate set back. the label is now going to wait until january of next year to release it. im bummed but i understand why they want to do it. 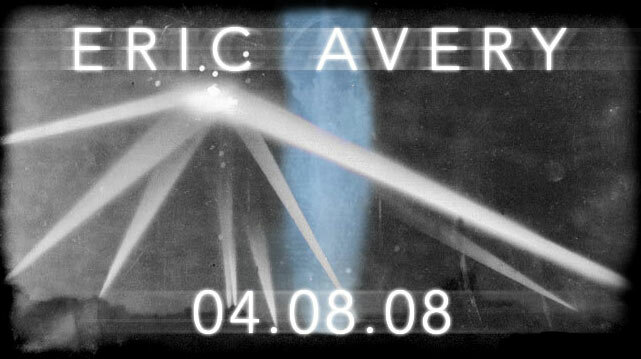 (5/5/07) New Eric Avery song! 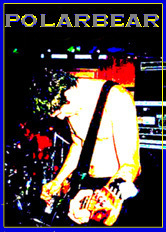 Preview the track "All Remote and No Control" from Eric's forthcoming solo CD, Help Wanted by visiting dangerbirdrecords.com. Click "Launch Dangerbird Player" at the top right. We’re honored to announce the signing of Eric Avery to Dangerbird Records. A founding member of Jane’s Addiction and a long-time friend of ours, Eric will release his solo debut, Help Wanted, this fall. The album features guest contributions from Shirley Manson of Garbage, the Foo Fighters' Taylor Hawkins, and Flea from the Red Hot Chili Peppers on trumpet. Stay tuned for more details. I've been trying to get ahold of these since I saw them live back in 1998. Now thanks to Andy Troy, here they are. It should be stressed that these videos-- for the songs "Flyer" and "Monkey"-- aren't glitzy "MTV-style" music videos, but rather visuals that were projected behind the band at their shows. They were made by filmmaker Gregg Gibbs. "Flyer" is comprised of old b&w footage of Eric Avery's friend Chris Brinkman (the inspiration for the song). "Monkey" is a bit more random in its composition and might not be safe for work thanks to a naked fat guy jumping in a pool. Thanks again to Andrew, Gregg, plus Eric for giving the ok.
See also: The "Belly" video is available on YouTube. Eric has been keeping up with his blog nicely, with new posts every few days. Plus, in the comments area there, he's been talking with fans. So check it out. His album is finished and now I believe he's just working out a deal to put it out. Should hopefully be soon. It's tentatively titled Help Wanted and includes 11 tracks. It features several guest appearances, including Shirley Manson from Garbage on a song. One of the songs is called "Sun's Gone", which some fans may recognize as the song Eric performed acoustically on Camp Freddy Radio a while back when its working title was "Animals". Why no Why Something Instead of Nothing? Polarbear's album Why Something Instead of Nothing is no longer in print. For now, you can still buy it from third parties at places like Amazon. Also, Andrew Troy still has a large stock, which he plans to make available soon. This past year I produced another new film with English comedian Eddie Izzard. The film is a feature length documentary about Eddie's life. It was completed just before the holidays and will hopefully be available by mid 2007. Over the past couple years I've been writing new music with Failure drummer Kelly Scott. Currently its just the two of us but so far we're happy with the direction of the songs. We're just starting to look around for a producer type to help mix and we're hoping to get out and play live once the songs are ready. I'll keep you updated on our progress. Maven News: Bons old group Nitzer Ebb got back together this year so Maven has been on hiatus while they have been on tour. Our record label released a few songs that are available online. We also released a video for the song "Candidate" that can be found at the Maven website. Eric has finished his new cd! It's currently being mastered. An obligatory myspace spot is planned, and will presumably have sample tracks and ordering info. So stay tuned for that. I'll pass it on as soon as I can. More cool news for fans of his.. He adds, "i have also begun (and i mean BEGUN) to blog. not much there now but over the next few weeks i should get some stuff up. only time will tell if it winds up interesting me for any length of time. its at: http://ericavery.blogspot.com."